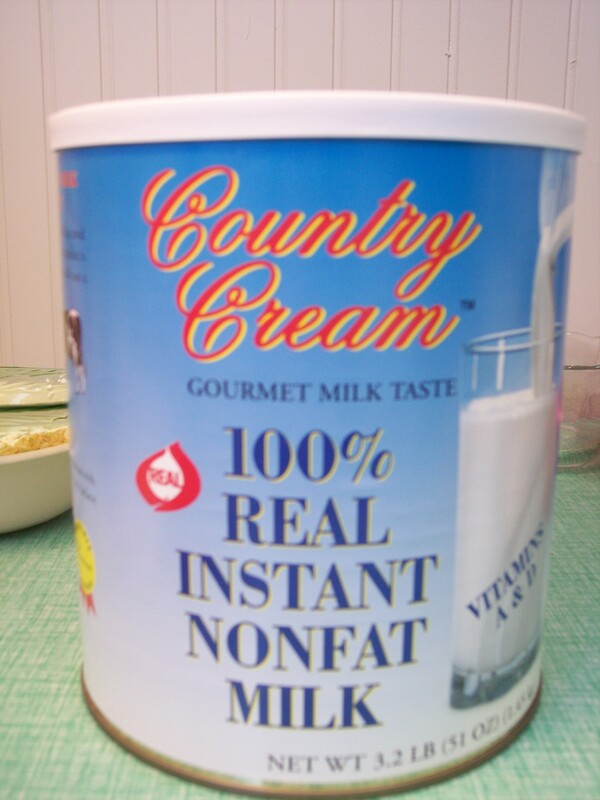 Powdered Milk comes packed in a #10 gallon sized can. One can will make 80 (8 oz. glasses) of milk or 10 gallons of milk when reconstituted. 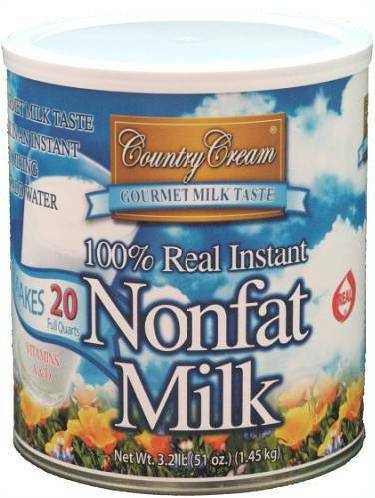 Country Cream Instant Powdered Milk is 100% milk that has been dried and can be kept on the shelf for long term food storage. Powdered milk lasts a minimum of 5 years and a maximum of about 10 years. It is best to keep the Powdered Milk in a cool dry place to store it. These cans are sealed with oxygen absorbers in them to ensure freshness and a longer shelf life. it. This milk is the best tasting powdered milk on the market. The chocolate milk is very delicious and creamy. 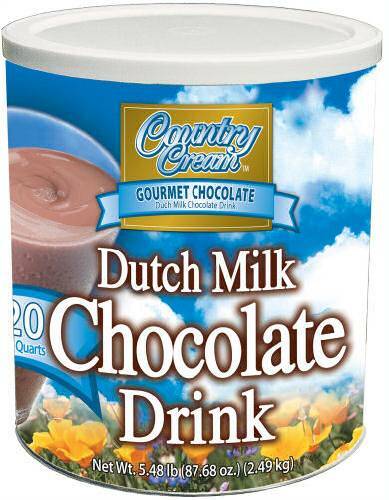 It can be mixed with hot water for hot chocolate of cold for chocolate milk. It is best to order in cases of 6 cans per case.